WhatsApp came up with its new calling option on Android smartphones a few weeks back. 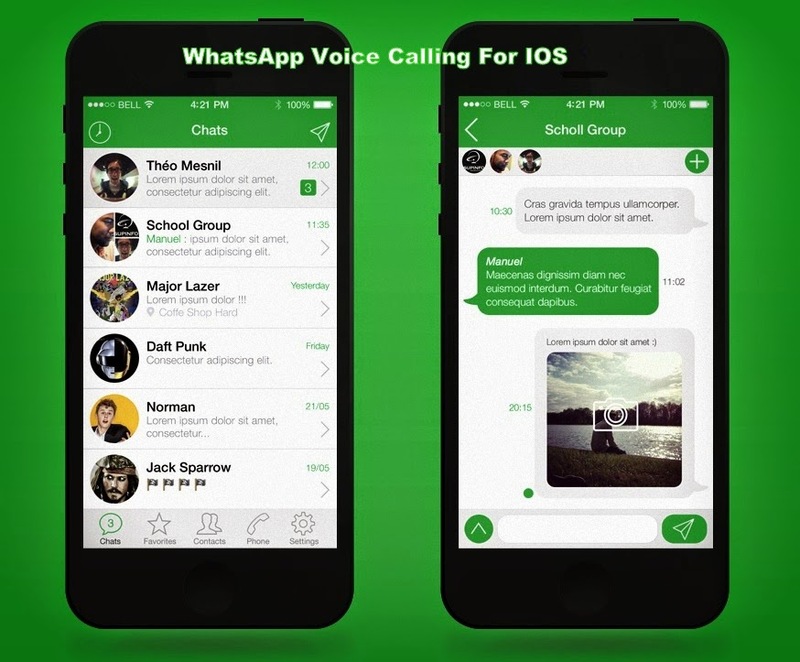 Soon after providing opportunity for Android users to perform voice calls, WhatsApp is extending the same opportunity to iOS users also. This added feature now allows the iOS users also to enjoy the benefit of calling using their data package or using the WiFi connection available. This will help you to save your call charges over cellular network. At the event when this facility was first launched for Android users, founder of WhatsApp Brian Acton promised to provide the same facility to iOS users soon. Now it seems that the company has kept this promise by introducing call feature for iOS customers. First and foremost advantage is that it gives you the opportunity to talk with your friends all along the world without worrying about your phone bills. This feature is intended to use WiFi facility rather than Data facility. So you can chat with your close friend or family members or relatives or even with your girlfriend/boyfriend for as many as longer as you wish. Recent statistics reveals that WhatsApp has a registered customer base of over 800 million people. Already the messenger service is upsetting the cellular service providers. Earlier the users tend to spend money on activating message offers to chat with their friends. But with the coming of WhatsApp messenger service, these service providers already lost a huge share of revenue they used to get by providing message offers. Likewise with the introduction of voice calling facility over WhatsApp, it will be a blow to the cellular service providers. The prime revenue source for them is received from providing cellular calling services. Imagine their plight if the people are not interested to use those services. WhatsApp already caused a negative impact on their revenue share from SMS and the same is expected with the revenue from voice calling. This latest update is inclusive of backing of certain iOS 8 share extensions. This feature permits the user to send videos, images and browse links to WhatsApp chat from other applications. This will allow editing your images before sending them. This will also help to load and send many videos together at a time. All these add on services are available along with live voice chats over WhatsApp. The new feature is already made available to iOS users over iTunes. But the release warns the users that the roll out is available in a low pace and so it may take few weeks to function this new feature over your iOS device. You can readily get updated to the new feature now itself. But you have wait till WhatsApp turn on the call facility for your iOS device. So get to your iOS device, open up iTunes, download and install the update and wait for your turn.